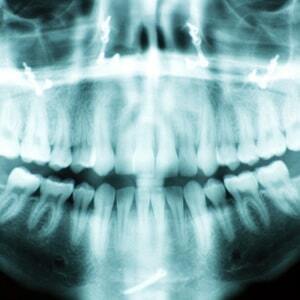 Digital radiography entirely out modes that cumbersome process. Now, a tiny sensor placed in the mouth acts like a miniature VCR camera with an x-ray sensitive chip, exposing you to 50%-90% less radiation exposure than with traditional x-ray techniques. The resulting highly detailed image of your mouth is almost instantaneously translated onto our computer screen, carrying with it all the conveniences of other digitized images. We can rotate it, magnify it, adjust it for contrast, and even color-code it for educational purposes. Because it helps our patients clearly understand the root issues behind their dental health, we're able to work together to determine the very best treatment options for each case. This wonderful new technology allows you to relax in your chair while simultaneously observing a real-time pictures of the inside of your mouth magnified beyond normal size on an adjacent computer monitor! Not only does this make it simple to see and understand what the doctor is telling you, but it makes it simple for us to keep incredibly accurate records from one visit to the next. A technology that is developed around the needs of dental care is a powerful tool for dental professionals. The technology can greatly influence the effectiveness of treatment. 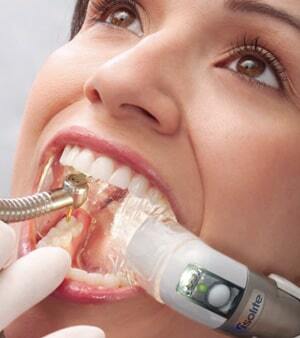 Dental examinations play a crucial role in dental care. The time and effort spent in dental evaluation are very valuable to both the patient and the dentist. This is why, we as dental care providers, give pivotal importance to innovative technologies in all areas of dental care. We believe that the quality of treatment offered at our dental practice can be greatly enhanced with the use of advanced techniques. Therefore it becomes necessary for us to stay updated about the latest developments in dental technologies and implement the best ones at our office. I CAT FLX is known to be a breakthrough technological equipment in 3D imaging. 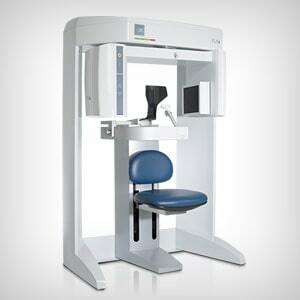 The cone beam 3D imaging system is known for its sophistication, functionality and its wonderful interface. The quality of 3D images produced is truly amazing and whats more interesting is that the system does this with a dose lower than that of 2D Panoramic X-ray with QuickScan+. Following are some of the key features of I CAT FLX. I CAT FLX 3D imaging system helps our team and general dentists in the city of Rancho Mirage in a number of applications. Finding tooth decay is a challenge to dental professionals. It is a crucial part of dental examination since early detection and intervention are absolutely necessary to help prevent infection. While dentists use dental explorers and naked eye examinations to detect tooth decay, it is often difficult for them especially when the tooth decay is within the enamel layer. DiagnoDent is an advanced laser technology that is developed to identify tooth decay that is difficult to find through normal examinations. DiagnoDent makes use of laser technology to identify tooth decay and lesions. The laser is shined over the tooth surface. When the light penetrates an area where there is tooth decay, a florescent light is reflected which is converted to digital form that can be read through the digital reading and sound output. The higher the reading or sound, the greater is the extent of decay. This technology is widely recognized for its accuracy and the convenience of use. Following are some of the benefits of DiagnoDent technology system. We at Smile Guru have brought together the most advanced technologies to enhance the dental experience for every patient who visits our office. 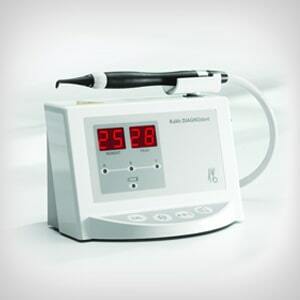 Isolite System is one of these technological equipment that help us improve the quality of dental care. When treating teeth or gum problems, isolation of surrounding teeth and gum tissues is one of the most crucial factors of the treatment. It is both challenging and time consuming. Isolite System helps us with such issues. It is a system designed to perfectly Isolate the surrounding teeth and enable safer and more effective dental treatment. 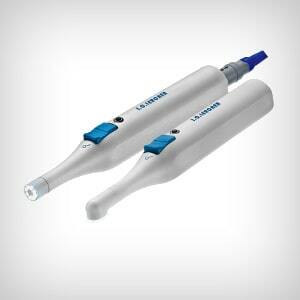 Isolite system makes use of a patented mouth piece which is designed to be flexible and perfectly fit the oral cavity of the patient. This mouth piece performs the following functions. Isolite system plays a pivotal role in the treatment offered at our dental office. It has increased patient safety and has enabled us to treat patients in the most convenient, quick and effective way.